The Show Me State experiences a wide variety of weather conditions, but summers are reliably hot and humid. That’s why many Missourians, from Saint Louis in the east to Kansas City in the west, install inground pools in their backyards. Long, hot summers provide ample opportunities to use a swimming pool in Missouri. In most areas of the state, temperatures rise into the 70s in May and don’t drop back down until October. For many, this is the perfect amount of time to have a pool open – long enough to get your annual fill of swimming, but short enough to give you a nice break from pool maintenance. Missouri gets a lot of severe weather in the summer, so you’ll want to put some thought into how you’re going to keep your pool free of any debris that might blow in. 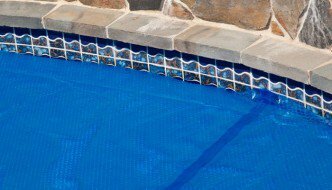 The ideal solution is an automatic pool cover that rolls out with the flip of a switch. You can also get pool covers with hand cranks, which is more affordable but also less convenient. Keep in mind that if the cover is a hassle to use on a daily basis, you probably won’t use it. Depending on where you live, you might pay a little more for professional pool installation in Missouri. That’s because construction labor costs are above the national average. One option to save money is to do some or all of the work yourself, possibly with the help of an inground pool kit. Fiberglass pools may also be cost-effective (in addition to being trendy) due to their ease of installation. Turn to your city or county government for your swimming pool permit(s). The process varies, but you’ll generally need to submit an application along with a fee. More than one permit may be required, and in general, the steps you have to follow are more numerous and complicated in urban areas like Saint Louis and Kansas City. If you are planning to hire a pool company to do the work for you, you can take advantage of their knowledge of local laws to make all of this less painful. In addition to getting any required permits for your new pool, you’ll need to make sure it meets any safety requirements in your area. Pool safety laws are the purview of local government, so make sure you understand the law in your city or town. The biggest thing to watch out for is whether or not you need a pool fence (the answer is most likely yes). You should get a handle on things like this early on, in case they impact your plans.